A year ago, James Madison’s Montpelier invited me to the National Summit on Teaching Slavery to create a “methodology for how public historians work with descendants” (program, 6 Mb pdf). Over a long weekend, fifty people from across the country with a wide range of experiences and perspectives worked in small groups to define and prioritize standards and best practices for interpretation, research, and involving the descendant community. It builds upon Montpelier’s award-winning exhibition, A Mere Distinction of Colour, to help “Americans of all types truly understand the ongoing struggle for freedom, rights, and equality in our nation.” The National Council on Public History recently posted a nice series of discussions on the exhibition with students in the Cooperstown Graduate Program. One of the major challenges was determining what is distinctive about teaching slavery from interpreting other topics, such as women or Asians. At first, the discussions identified practices that had already been figured out years ago by the American Historical Association and the National Association for Interpretation, but that was to be expected because many participants had little experience in scholarship or interpretation–what bound us together was improving and enhancing the interpretation of slavery at museums and historic sites. Although the rehash of these professional practices was frustrating and I wondered why we were going over old ground, it eventually dawned on me that while these practices may be long-established, they are not well-established. Our visitors may not be museum professionals or academic scholars, but they can sense something is missing when they visit historic sites and house museums. We still have a lot of work to do. 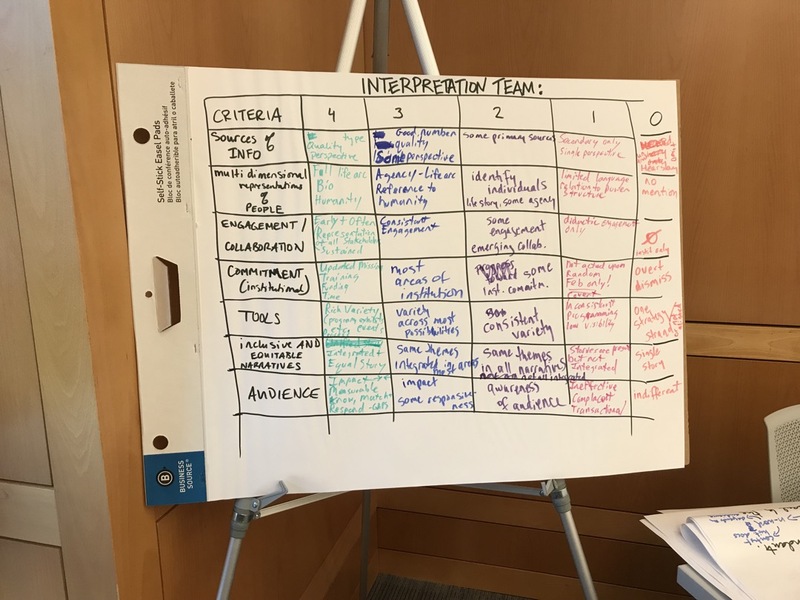 Draft rubric on interpretation from the National Summit on Teaching Slavery, February 2018. More interesting was the discussion on race. Although participants agreed that race is a man-made construct and thus can be deconstructed, the group wasn’t ready to go there. Instead, they preferred to use equitable, inclusive, and multi-dimensional. Because race has been a fundamental way of explaining differences in people for centuries in the US, explaining it as a social construction upsets our basic sense of the world. If you’re not familiar with it, check out the articles in Scientific American and National Geographic. 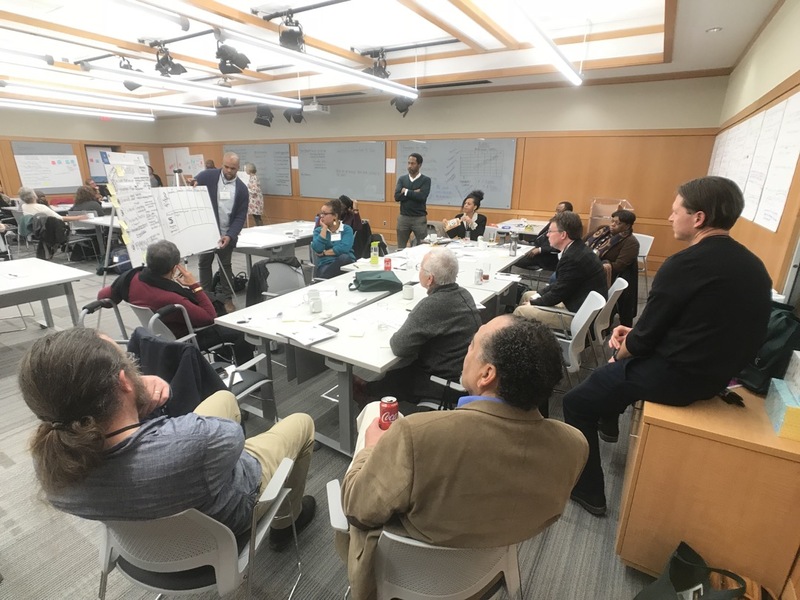 Even though this convening on the teaching of slavery could easily discuss racism and its consequences during the weekend gathering, confronting race and racism as a standard practice in the museum field was too difficult. Indeed, the rubric increases the responsibilities for the interpretation of slavery at history museums and historic sites. And like most standards and practices, they are continually evolving and eventually, my hope is that what is now considered “exemplary” will be considered “basic”–and we can eventually confront the social construction of race. This entry was posted in Community engagement, Cultural diversity, Historical interpretation, Resources and tagged African American history, James Madison's Montpelier on February 7, 2019 by Max van Balgooy. This is both a profound and helpful document, Max, composed with great care and urgency. I was proud to take part in the summit as well as the drafting of the document with many committed colleagues. It is worth a read for really any kind of engagement with descendants (alumni groups, veterans, survivors, and more) so as to guide how we build projects to do their histories justice and carry them out responsibly and effectively.